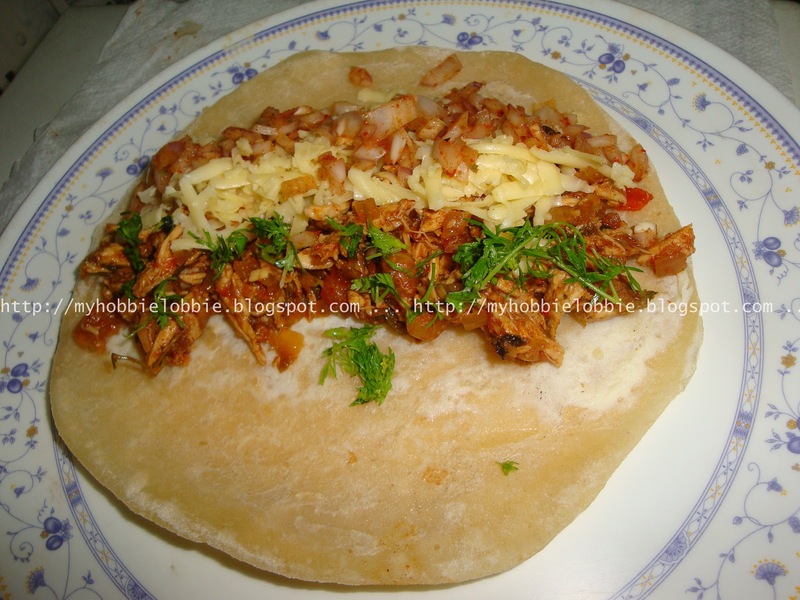 Chicken frankies are yet another version of a chicken wrap, but yeah, Mumbai style. I don't know what it is about wraps, but a lot of cuisines seem to have a version of their own. The Americans have the ever so versatile Wrap, the Mexicans have the burrito, the Asians have the spring roll, the Italians the calzone. In India we call wraps Frankies. It is another version of street food. 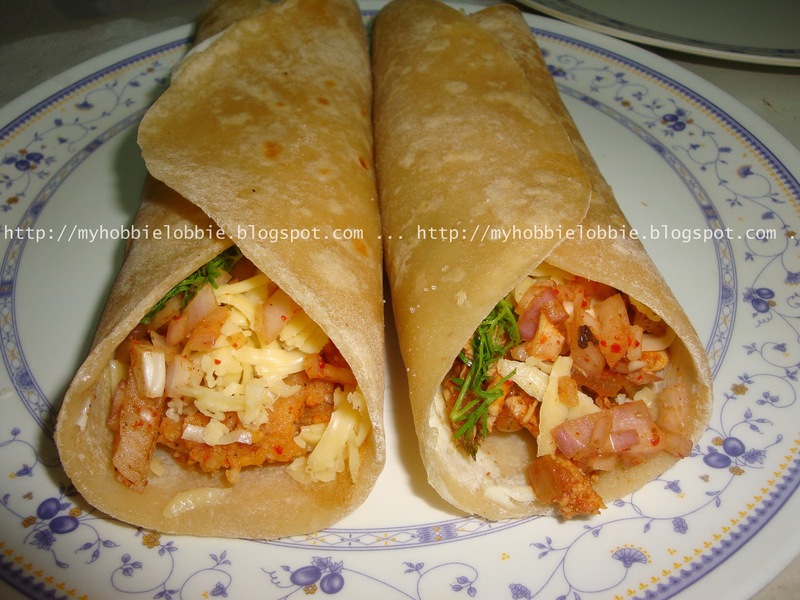 Its not uncommon to see stalls around the city selling these wraps piping hot. Today, I'm going to show you how to make one from scratch in the comfort of your own home. The street stalls have many varieties on offer. The Chicken, Mutton, Veg., Aloo, Egg are just a few. Then you also have the option of adding cheese to these wraps. And we know cheese makes everything better. I made a couple of these this time around - the chicken one for the meat lovers and the potato or Aloo version for those of you who don't eat meat. We love them both. Today I will focus on the Chicken Frankie and stay tuned for the meatless version tomorrow. Mix the ingredients except the beaten egg in a bowl and using water, bind to a soft, pliable dough. Divide into portions and roll out into a disk about 6" in diameter. Make sure you don't roll it out too thin. At the same time, it shouldn't be too thick either. Place it on a hot griddle or pan. Apply a few drops of oil on the top and spread it lightly using the back of a spoon. Once the egg has slightly set, turn over and cook on this side as well. Once both the sides have cooked well, take off the pan and keep aside. Note: I usually cook off all the rotis and keep aside. You don't want to overcook it, since it needs to be warmed up again, just before you assemble. If you're just making a couple of these, you can assemble them straight on at this stage. Heat oil in a pan. Add the ginger and garlic and saute for a minute or so. Add the chopped onion and fry off till the onion turns golden brown. Add the chilly, garam masala, coriander and cumin powders and stir well. Add the tomatoes and stir fry till the spices and tomatoes cook. The oil will start to separate around the edges of the vessel. The tomatoes should lose some of its moisture by now. Once the chicken has cooked, add the amchur powder, fresh chopped coriander and mint leaves and salt. Mix well. Taste and adjust seasoning, if needed. I usually keep the coriander leaves aside and use it as a garnish. If you've made your rotis in advance. Place them on a pan and gently warm them up. Spoon some of the filling onto the roti. Sprinkle some of the onion salad on it. Sprinkle lightly with some chaat masala if desired. Sprinkle some grated cheese, if you're making a cheese version. Top with some fresh chopped coriander leaves. Wrap it up nice and tight and serve hot. Check back tomorrow for the Aloo Cheese version. Chicken Frankie looks delicious. Thanks for sharing with Hearth and soul blog hop. This sounds absolutely delicious - the spices are wonderful. I love that it is totally made from scratch, including the nan! Thank you for sharing it with Let's Do Brunch and the Hearth and Soul hop. Oh my I am craving these, they look wonderful and I have everything except the Chaat masala in the house...I even have ready to cook roti in the freezer (because I'm afraid to make them myself.) These are now on my must make list. Thanks Lisa, I hope you enjoy it. Nice! I'm going to make these soon! The recipe for the filling is listed above. I don't use any other dry masala apart from this. Very spicy recipe that you have shared. Very useful and easy one.I can surely make it when ever I feel like. Anusia, you can adjust the spice level in the recipe to suit your taste. Thanks for stopping by! Excellent post with useful recipe..And the combination of elements are very different and unique..